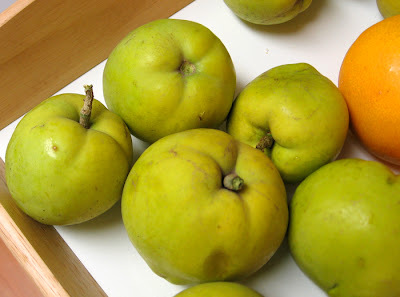 The sapotes are the yellowish-green fruit. They grow well in climates that are friendly to citrus. 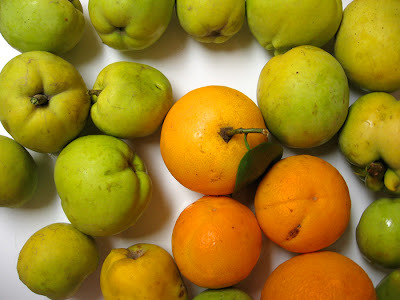 To cut the fruit, I roughly peel it with a knife and then cut it in to chunks. When eating I watch out for the pits which vary in size. 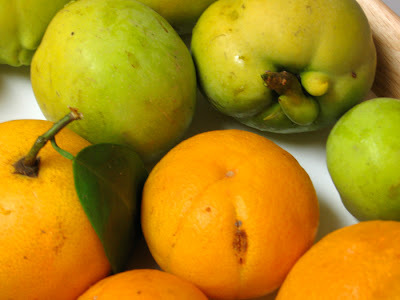 These fruit taste a little like vanilla and like no other fruit. If you have too many, they freeze easily. 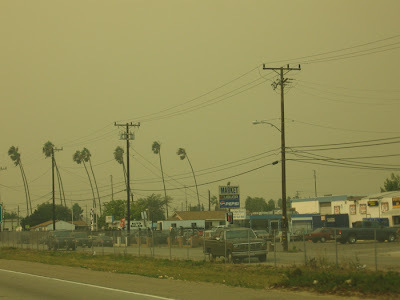 My drive to Santa Barbara was very smoky along the 101. The photo below is from the middle of the afternoon. There are so many fires here in Southern California right now.